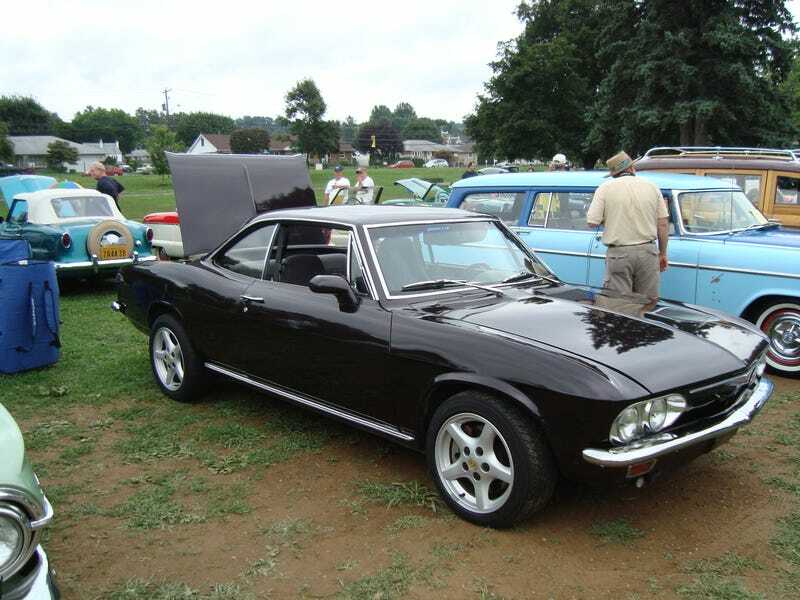 There's something not quite right about this Corvair, found at this year's Das Awkscht Fescht. Firstly, those wheels look way to modern. That looks like a sticker. A poorly placed sticker. These seats look like they're out of a gen 4 F Body. So does this dashboard and steering wheel.